I’m still trying to grasp the Sammy Watkins trade by the Bills to the Rams for a 2nd round draft pick and CB E.J. Gaines. Also the move of CB Ron Darby to the Eagles for WR Jordan Matthews and a 3rd round pick. There is a 6th round pick the Bills gave up to the Rams too, for those keeping score. I’d like to say after 20 years in the sports business, nothing shocks me, but these trades, especially Watkins, did. He looked great against the Vikings in the pre-season. He can be a dominant player, and new offensive coordinator Rick Dennison brought promise of targeting #14 more this season. My knee jerk reaction (on Twitter of all places), was this was a terrible move. The franchise gave up so much to get Watkins, why get so little in return? , Sammy was also a popular and marketable player, important for a franchise that has only a few. I also read a lot of what BSP contributor Greg Gabriel had to say (on Twitter), and even reached out to him for a quote for this piece. Greg’s total summation is this “In the first place, the Bills way overpaid to draft Watkins and he has not lived up to his draft status. As for Darby, he is very athletic but has marginal ball skills. Corners with marginal ball skills never become high level corners. I applaud Sean and Brandon for making these moves.” Interesting stuff from Greg, a scout with no skin in the game. It also validates what most fans already knew, Doug Whaley was a terrible general manager. Reading Greg’s takes, and thinking about the future helped the shock wear off. From the business side of things, it makes sense. 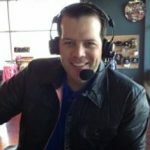 Watkins’ foot injuries, and his contract status made Brandon Beane act now. 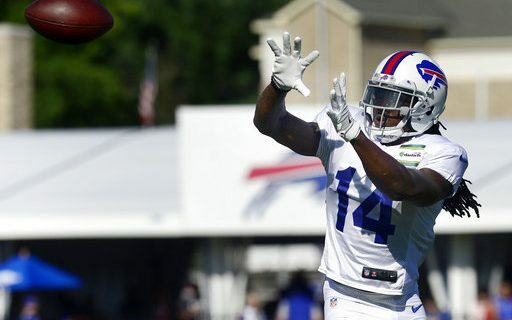 Watkins is healthy, in peak condition, and there is no guarantee that will be the case moving forward. Ron Darby was not very good last year, and not a fit for Sean McDermott’s zone defense. Good arguments have been made, by many fans I may add, that the trades make sense. Beane also gets to put his (McDermott’s too) stamp on the franchise. Building around Whaley’s picks and acquisitions (Tyrod Taylor will be gone in the future) could not have been in his plans. That’s not how GM’s operate. I still don’t have to like the move, even though I understand it. I enjoyed watching Sammy Watkins play, and I think he has a good future ahead of him. I never thought the Bills were going to win this year, but I was looking forward to following a good ride. That still may happen, and new wideout Jordan Matthews may be even better. In the meantime, mark all of this down and keep track because it will be several years before we know if these truly were good trades. To me, this was all about the draft picks. The Bills are maneuvering for one of the top QBs in next year’s draft. With tyrod, our upside is minimal, no matter who the receivers are. Sammy probably wasn’t going to re-sign, and the cornerbacks were essentially an even swap. I’m OK with these moves.